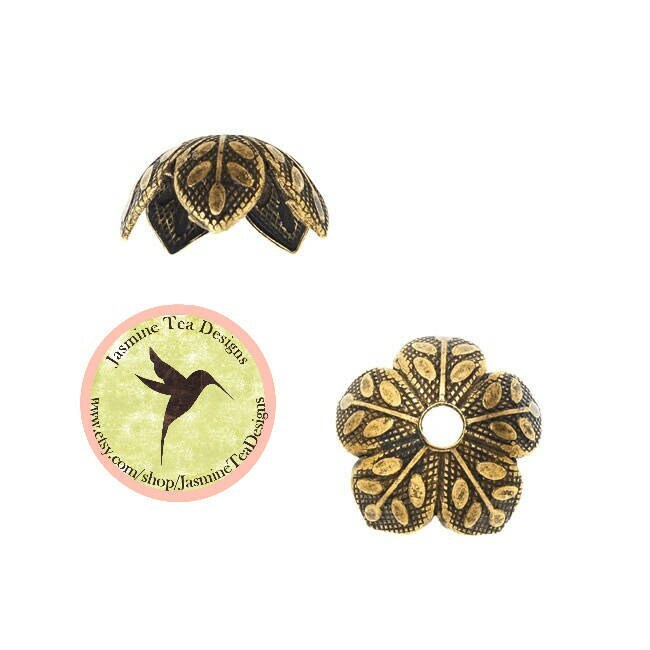 This listing is for (2) a pair of antique gold bead caps with a leaf design that measures 8mm wide and approximately 4mm tall. These are made of solid brass and have acquired an antique gold look through oxidization. The manufacturer uses a non-chemical process to give the pieces a shiny look. NIce color. I love the sample of silver. It is the lightest batch I have seen in a long time. I will definitely be coming back for that! Thank you.